Jobaby Pro-line Spinnerbaits and BuzzBaitswere developed for the serious bass fisherman with a passion for catching that fish of a lifetime. JoBaby Spinnerbaits are offered in Tandem, Tandem Colorado/Willow,and Indiana blade combinations. We have taken the already #1 rated JoBaby Original series spininnerbait and come up with winning combinations of metal flake head colors and Silicone or Lumaflex skirt colors that have been consistently finishing in the money at tournaments all over Texas. The new Pro-line baits features an oversized #5 Gamakatsu hook, new glitter head paints, over-sized Silicone or Lumaflex skirts and holographic scale blades. Our new Magnum Series spinnerbaits feature 1oz. spinnerbaits in Tandem willow,deep cupped Single Colorado blade "The Thumper" and #5 single Colorado blade"The Slow Roll" Series. We offer spinnerbait blade combinations in Gold plated smooth and hammered, Silver smooth and hammered, hammered Copper, and several painted blade finish combinations. What ever the conditions, our new Pro-line spinnerbaits will perform to the standards you have grown to expect from JoBaby Spinnerbaits. The new JoBaby "Gold Baby" Pro-Line spinnerbait (pictured above) has been upgraded from the original JoBaby Gold Baby. Jobaby has also improved the buzzbait line with the same upgrades as the Pro-Line series. They deliver excellent performance in both clear and off-colored water. If you don’t see what you want Jobaby offers Custom spinnerbaits in all their lines of baits. You can design your Custom spinnerbaits to your own specifications choosing head size, blade size and blade finish, head color and skirt type and color from a easy drop down list and Jobaby will build your custom spinnerbait for you. Jobaby lures strives to build quality spinnerbaits and buzzbaits that you will fish with confidence and pride. If we can be of any help in filling your requests please feel free to contact us. I am a 55 year old retiree from Bishop Texas. A small town 35 miles west of Corpus Christi, Texas in the heart of some of the best fishing a man would ever want. I recently retired from the Celanese Corporation after 32 years of service working many years as a machinist, then moving into training and computer programming for the SAP software maintenance and support. My last several years with the Celanese had me working mainly out of Dallas where I supported Project Systems for all our sites located in Canada, Mexico and U.S.. It was an interesting time for me but I reached a life long goal to retire at age 55 and so I started my retirement on April 1 of 2005. I am a member of St. Paul Lutheran Church in Bishop, Texas where I have held a number of positions over the past 30 years. The lord has truly blessed me with a loving wife, a beautiful daughter, a handsome son and four outstanding grand kids. Life is good!!" "Over the last 30+ years I have fished in several bass clubs in the Corpus Christi area and also fished many individual and team tournaments. I love to throw spinner baits and fish worms in hard wood. Falcon Lake is my confidence lake and has produced numerous wins for me over my tournament fishing career." "I look forward to the coming years with JoBaby and pledge to carry on the same commitment of quality to Jo Baby lures that Joe Starkey put into his baits. I am particularly pleased with the new pro-line series we have developed over the past couple of years. I am now ready to start the job of expanding Jobaby to new areas making new friends along the way. I am willing to shoot the breeze with anyone about fishing in South Texas." 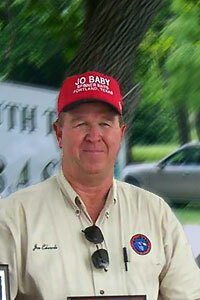 A very special man founded JoBaby Lure Company in the mid-seventies in Siminole, Texas. 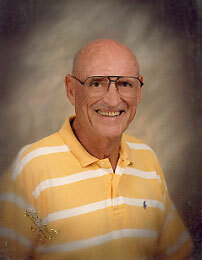 Joe Starkey worked as a material supervisor for an oil company now known as Enron. Job requirements forced him to move to Corpus Christi, Texas in 1978 where he eventually retired. Once settled in Corpus Joe continued manufacturing baits out of his home mostly by word of mouth. And so the legend of JoBaby Spinner Baits went for the next twenty-five plus years until Joe was called home to his maker on October, 22, 2002 after a long battle with cancer. He is truly missed. Joe was one of those special people that made you feel like you had known him most of your life upon first meeting. He and I met a few years after he moved to Corpus and JoBaby Spinner Baits sponsored me in my tournament fishing. Joe loved to build baits for people and I can assure you countless tournaments have been won with them. As Joe’s cancer set in he tried to lick it with doctor’s treatments and his "never give up" attitude. There was a glimmer of hope for a while but it was short lived. I can remember visiting with him in his home shortly before his passing. He was in the back room still making spinner baits and talking about the good old days. Joe was concerned about having more orders than he had time to build. His love of people kept him building those baits until he just couldn’t do it anymore. Joe also reminded me that day of a conversation we had years ago concerning JoBaby spinner baits. I had told him that if and when he ever got tired of building spinner baits, I would be more than happy to take it off his hands. I feel honored to have known such a fine man and am pleased to carry on the fine quality of hand made spinner baits that have dominated South Texas for the past twenty-five plus years.